A few weeks back I kicked off wedding season with the most spectacular Goldie Estate wedding on Waiheke Island in Auckland. Hannah and Travis chose to have a first look before their ceremony which they did at an old homestead where Travis had spent the morning getting ready. 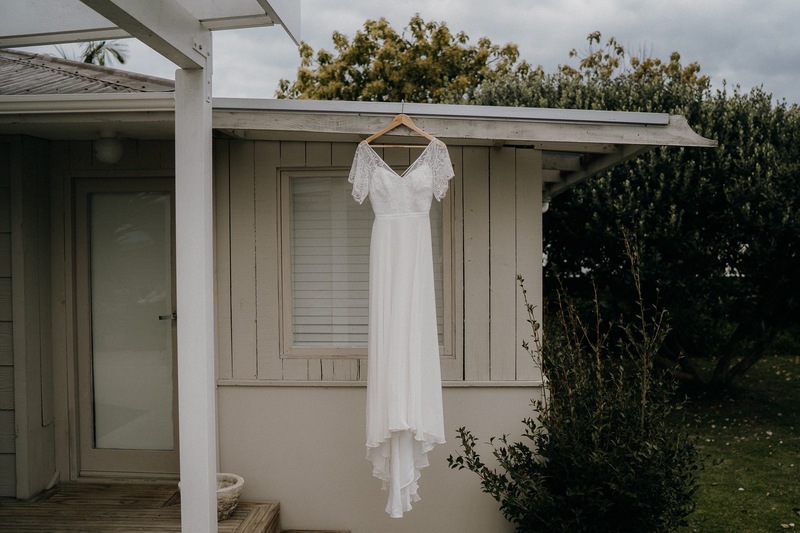 Their ceremony was held beneath the big beautiful Pohutakawa Tree overlooking the sea at Goldie Estate followed by a relaxed canapé hour where guests chatted and played pétanque in the late afternoon sun. Partway through the reception I took the newly married couple back up onto the hill at sunset. Let’s just say we were treated to a pretty amazing one so make sure you scroll right down! Venue: Goldie Estate | Celebrant: Teresa Callaghan | Dress: Sally Eagle | Suits: Yaly Couture | Bridesmaids Dresses: Miss Crabb from Designer Wardrobe | Shawls: Brides grandmothers and biridesmaids knitted by Mother of the Bride | Flowers: Wildflower Waiheke | Hair: Lipstick and Co | Makeup: Brides sister - Megan | Brides rings: Jewellery by Grae | Grooms ring: Made by groom | Earrings: Mamoru Jewellery | Shoes: Sol Sana | Cake: Bluebells | Stationary: Designed by Bride and Groom.